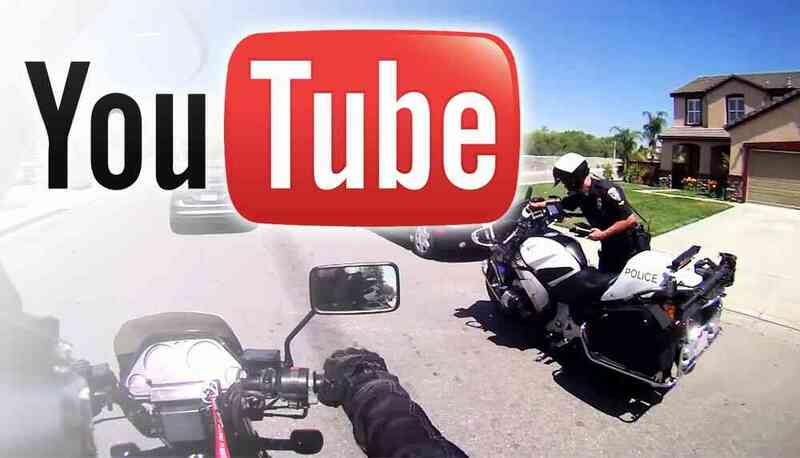 Motovlogging is becoming really popular on Youtube, and there are a few riders out there that have hundreds of thousands of subscribers. For some it is even a full time job. I think motovlogs are great because it gives you a peek into the motorcycle community. Plus, you can live vicariously through some of these riders by watching their videos. Some of them aren’t the safest riders out there, but everyone on this list is very entertaining. A lot of us get our two-wheeled fix this way. The classic extrovert on a motorcycle. Walterrific rides around and creates his own adventures. He doesn’t find adventures, he CREATES them! I frequently find myself laughing out loud during his videos. They are quick cuts and always interesting. He rides a Kawasaki Ninja ZX6R in his current videos, but like most motovloggers that is subject to change. In fact in his previous seasons he filmed himself riding a Ninja 650r and a Ninja 250r. “Do it with dan. Do it with dan. DO IT WITH DAN!?! Do it with dan?” The award for the best intro has to go to DoItWithDan. It makes me smile every time, especially in his latest videos where the police officer says it as a question. Another one of those motovloggers that uses a motorcycle as his medium to create adventures. Very opinionated, good hearted, and a bit of a hooligan. He has a wide variety of videos on his channel, from his ‘cooking with dan’ short lived series, to fan mail, and car videos. An adorable girl (she would probably hate me saying that) from New Zealand. She rides a classic 2002 Suzuki GSX 250 which is currently painted a flat green color. She has a spunky personality and for some reason I can’t get enough of her videos. Although I’m a sucker for accents. She also ‘flogs’, or Face Vlogs which is a bit unique in the motovlogging genera. One of the few girl riders out there and very entertaining to boot. Give her a look! Want to see some horrible drivers with amusing commentary? Then Snowcatxx87 is your man. This guy is ballsy and has an axe to grind when it comes to traffic violations. There is even a video where he pulls over a cop for driving incorrectly! While I don’t recommend you be as aggressive as he is when it comes to traffic vigilante justice, it is fun to live vicariously through his videos. He actually does things that I only think in my mind! You like wheelies? You like super motos? You like watching someone be a hooligan? Then you will definitely like JTGS. A motovlogger from the south, whenever I watch his videos I can’t help but want to run out and buy a WR450SM. One of my favorite motovloggers by far. I really like the motorcycle reviews that ARidersLife does. They are simple, informative, and talk about stuff that real riders are interested in. Plus he also reviews smaller displacement motorcycles. Beyond reviews, his channel is also a snapshot of his life. From learning to wheelie on a bicycle to offroad riding and street riding. Definitely a motovlogger to watch! One of the most popular motovloggers out there. His unique style of staying relatively silent during his commute and just filming the various shenanigans that happen around him is very entertaining. Watching his commute in London and what he deals with when it comes to pedestrians makes me glad the population where I live is much lower! Some of those pedestrians are idiots and do unsafe things. He recently got a BMW motorcycle in addition to his Husqavarna Nuda 900. Both of those bike’s sound absolutely amazing, although I have to say I am partial to the Nuda’s V-twin rumble. He’s also incredibly friendly. One of my favorite videos is when he gets off his motorcycle to help an old man that had fallen. Ham rides an SV650 and is another motovlogger from down under. His videos are low key, relaxing, and he has a good sense of humor. I could really picture myself getting to know Ham in real life. He seems like the type of guy you could have a beer with. His channel features motorcycle reviews, group rides, and a few crashes. LeadPin has a very unique voice and motovlogging style. I kind of imagine he is what The Joker from Batman would be like if he was a motorcycle rider from Australia. Silly, a little bit crazy, and a whole lot of fun. He also shares a lot of his life, even some really personal stuff. The videos where he talks about his relationships are my favorite. He keeps it real and he definitely wears his heart on his sleeve. Oh Tom, what a gentleman! One of the motovloggers that goes off road and on longer adventure rides. He is no stranger to the city though, and has an absolutely gorgeous BMW motorcycle that he rides when he isn’t traveling across the Australian desert. Chase recently started doing motorcycle reviews. I don’t care too much for his reviewing style, but they are still pretty entertaining. He hosts group rides, chats with other motovloggers, and participates in social media. He has an amusing personality and seems like a great guy to get a beer with. He often talks about his day, what is going on in his life, or whatever topic seems to strike his fancy at the moment. I definitely enjoy his videos, they are a blast to watch! He also has a super cute girlfriend who runs a channel at Mrs.C2W. She is just learning to ride a motorcycle and has a great sense of humor. Both of them are really fun to watch! My own MotoVlogging attempts. I don’t post videos too often, but I would be remiss if I didn’t at least add myself to this list! You think I might be biased? Are there some motovloggers you like watching? Post the links below and I may add them to the 2016 round of motovlog awards! My brother also motovlogs in Boise. In fact, a lot of the time I’m borrowing his Triumph Speed Triple to do my motovlogs! Give him a look if you want to see some fun motovlogs paired with orchestral music. 808yewtube is a female rider from Hawaii that is often times cruising around on her much coveted 125cc Honda Grom. I absolutely LOVE this girl, and if I could meet any one of these motovloggers in person it would be her. Not only is she stunning, but she seems like a lot of fun. She doesn’t take herself too seriously, and that is why watching her videos is always a treat. Her Honda Grom might not be the fastest bike out there, but it looks killer, and it would also make an amazing first motorcycle. It’s light weight, small engine, and very forgiving. I think she did mention that it can’t quite make it up to 65mph, which could be a problem if you have lots of freeways in your commute. If you are strictly an around town biker though, the Grom would be great (if you can find one for sale! They are quite rare). A motovlogger from down under! Adjrian is a motorcycle rider who gets around on an amazing sounding Yamaha R1. He is a newer motovlogger having gotten his start in 2013, but he is quickly becoming one of my favorites. His videos usually have a set topic, and I always find them to be pretty interesting. He is one to watch in the future, I bet he will become pretty big in the motovlogging community. Ahhh the Baron. He’s a surly chap from across the pond that has very amusing anecdotes during his daily commute. He has a sharp wit, a forked tongue, and a self deprecating sense of humor. Not much is known about him as he keeps his life pretty secretive, although we do know he has recently been blessed with a ‘Baby Von Baron’. His videos show a high degree of professional editing and post production work and they are always entertaining to watch. Too much Baron Von Grumble can be a bit depressing though, he is definitely a ‘glass half empty’ type of person. In small doses though, the Baron is absolutely one of the most entertaining motovloggers out there. LaurieJennifer is another girl motovlogger that I follow who has a couple different bikes. She rides around on a 2009 Kawasaki ER-6n, and a 2009 Kawasaki KLX330sm. Both would make excellent beginner motorcycles. One unique thing about LJ is she rides even in the winter time, something very few people do. She even recently released a video where it was so cold outside, the locking mechanism on her motorcycle gas cap was frozen solid. It’s always fun watching her figure out how to get out of a jam. Royal Jordanian simply rocks! He rides a Husqvarna Nuda 900R, an absolutely amazing sounding bike that looks like a ton of fun to ride. Most of his videos consist of ‘daily observations’ during his commute in the downtown London area. He is one of the few motovloggers that doesn’t narrate while he rides, instead he puts together clips of interesting things he sees on his journey to work and back. One of the first videos I saw of his was a demonstration of a random act of kindness. RJ spots a an old man who had fallen on the sidewalk, and he quickly hops off his bike and assists him, pairing the old man up with a young lady that was walking in the same direction. We added this section to this post because we got a lot of questions around how to start motovlogging. Sure, there are some massive motovlogging channels on YouTube but everybody has to start somewhere. With some basic equipment, a motorcycle and lots of energy you can start your own motovlogging channel. 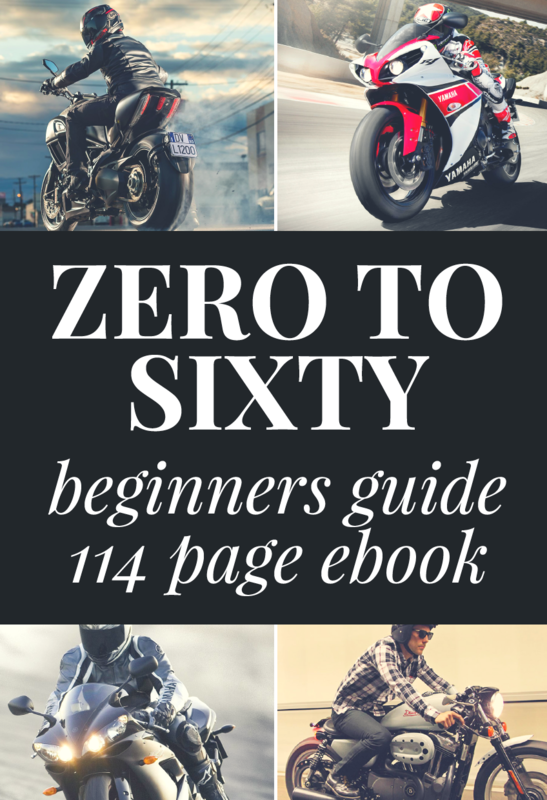 Whether you want to build a media empire or just share your motorcycling life with friends and family, motorcycle vlogging is a great way to get started. While there is a lot to learn about creating and building a successful motovlogging channel on Youtube (way more than we can cover in this single post) we did want to help you understand some basic tips about motovlogging that will help you make the best videos you can. Be Yourself. Don’t copy other motovloggers, that’s not what people want to see. People want to see you. Be natural and find your own voice and style. It may take some experimentation in terms of getting the right balance so have some fun figuring it out. Have a Clear Purpose. This goes for your motovlogging in general and also for individual videos. If you want to build that media company and quit work so you can vlog full time, then you need to up the production quality, buy better equipment and up the investment in editing and getting things perfect If it is just a fun thing to do, then don’t go crazy with that stuff. When shooting individual videos, have a plan. Have a purpose in mind for each motovlog. Make sure the title of the vlog, the description and the content are all aligned with that goal. Motovlogging Needs Marketing. If you want to build your viewership it isn’t enough to just create epic motovlogs (that helps a lot of course), you also need to promote your channel, engage with the community and find ways to get yourself in front of others. Promote on your social media accounts, get guest blogging spots with motorcycle blogs, engage in events and so on. You are going to need some stuff to start Motovlogging. 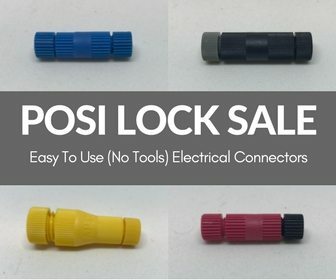 Thankfully motorcycle vlogging doesn’t have to break the bank and you can get some great gear for very reasonable money. In this guide we will summarize the stuff you need and which items we specifically recommend. The basics are pretty simple, you will need a great camera for motovlogging, a solid microphones and the best helmet mounts. The camera you use for a motovlogging setup is the most important component of all your gear. We’re huge fans of the GoPro suite of camera choices and that’s what we use. Two big additional benefits that won’t show up on a spec list for a GoPro camera is the fact it is one of the few action cameras that actually support an external microphone and the sheer number of attachment and mounting choices is insane. The GoPro Hero 5 Session is the best motovlog camera. 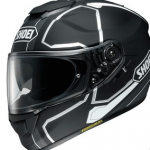 The new Session comes packed with features and it is nice and compact which is huge for motorcycle riders. We found it really easy to mount to a helmet without it feeling too heavy. An awesome feature is that you can start recording the scene in front of you at the quick touch of a single button so you don’t miss any of the action. 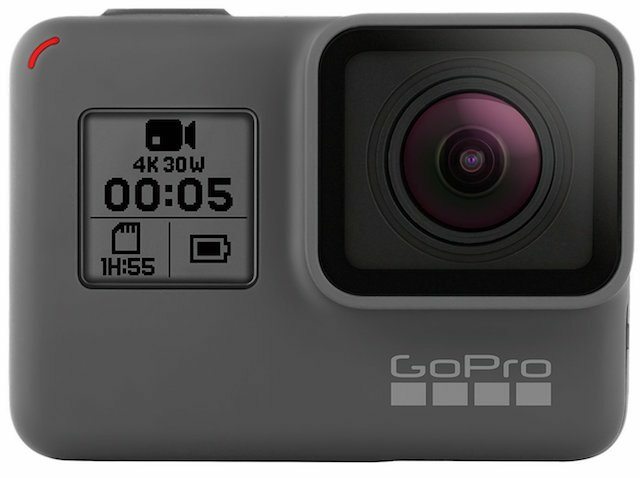 The GoPro Hero 5 Black is another one of our favorite motovlogging cameras. It is a toss up between the Session and this one really. 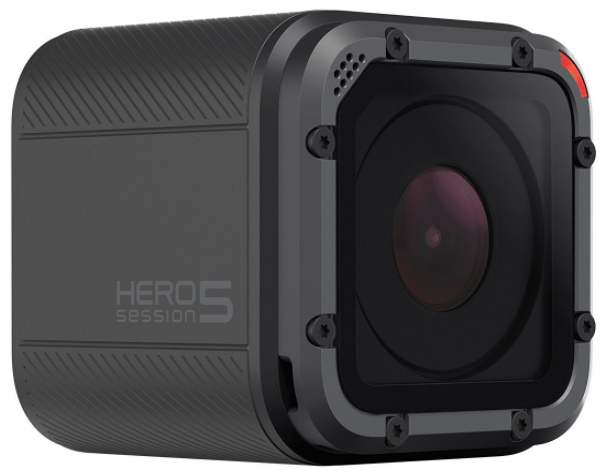 It is the most advanced GoPro and captures video at up to 4K quality videos (which is pretty amazing). Other cool tech includes voice control use, touchscreen display, waterproof, and built-in stabilization for a smoother and steadier video. 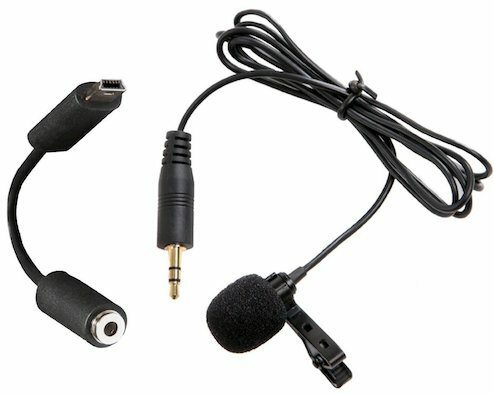 In order for voice to be picked up you should definitely consider using an external microphone since the on-board camera mic is likely going to pick up a lot of wind and external noise while not making it easy to hear your own voice. 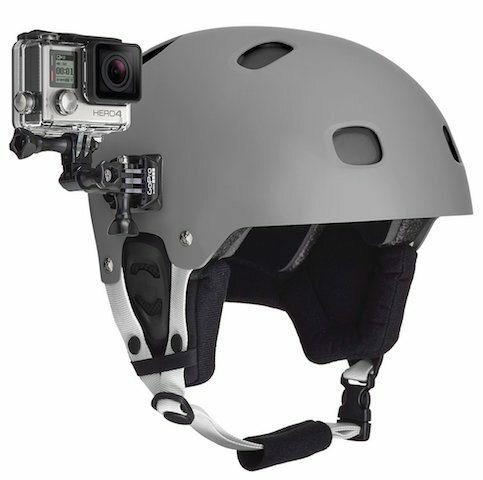 The last thing to consider when it comes to your motovlogging setup is the camera mount that you’re going to use to mount the cameras either onto your helmet or onto the motorcycle itself. We highly recommend mounting a camera to your helmet since this will offer a better point of view, although we also included some other suggestions for those who want to experiment with other shots and angles.